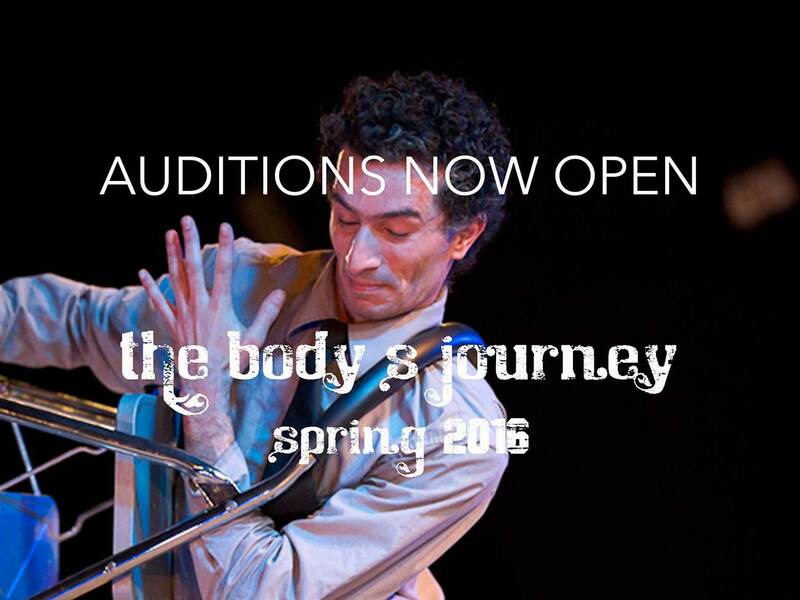 The Pas de Dieux Company has a pleasure to announce the opening for applications for Auditions for Actors/Dancers/Musicians (professionals and amateurs) for The Body’s Journey – Spring 2016, a project of Training, Research, and Devising, under the direction of Leela Alaniz. Funding possibilities available through AFDAS (French nationals only). For foreign applications for the selection process an interview with Leela Alaniz will take place personally or by telephone/skype. This new edition of The Body’s Journey benefits from the valuable collaboration of experienced artists/masters including: Dominique Moaty, practical training of singing, corporeal conscious, and musical play; Jean-François Dusigne, practical training of speech and breathing, and the impulses of text; Won Kim, practical training on play and improvisation. Lectures-demonstrations enrich the conceptual understanding of the practical work and thus, we have invited specific teachers who come from diverse horizons: Gilberto Icle (Brazil) presents a Lecture on the Study of Presence and a practical training based on his book: From movement to the theatrical stage: techniques developed from popular Brazilian culture; Elizabeth de Roza (Singapore) presents a Lecture/Demonstration on Kalarippayattu – Technique and Artistic Creation; Won Kim presents a Lecture/Demonstration on The Counterweights of Etienne Decroux in the Contemporary World; Jesser de Souza (Brazil), Lecture/Demonstration : The Training Technique of the Actor; and Serge Troude presents a Lecture on the The Gurdjieff’s Teachings Today.